I have tried to search so I apologize if there is another thread about this. I am in the process of researching all the tents and came across the Treeline Aspen tent. Their website says it is currently not available in the US but I'm sure this is only temporary. 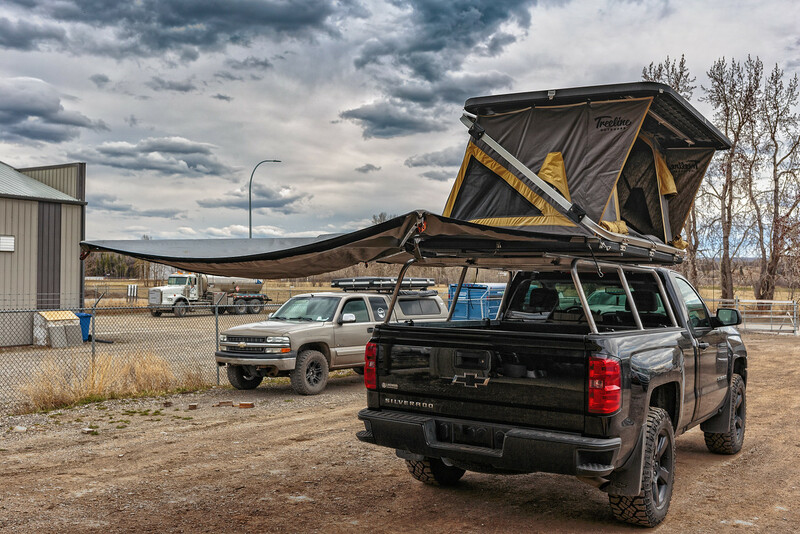 There is not a lot out there on the web about this tent and it looks like a pretty durable design. 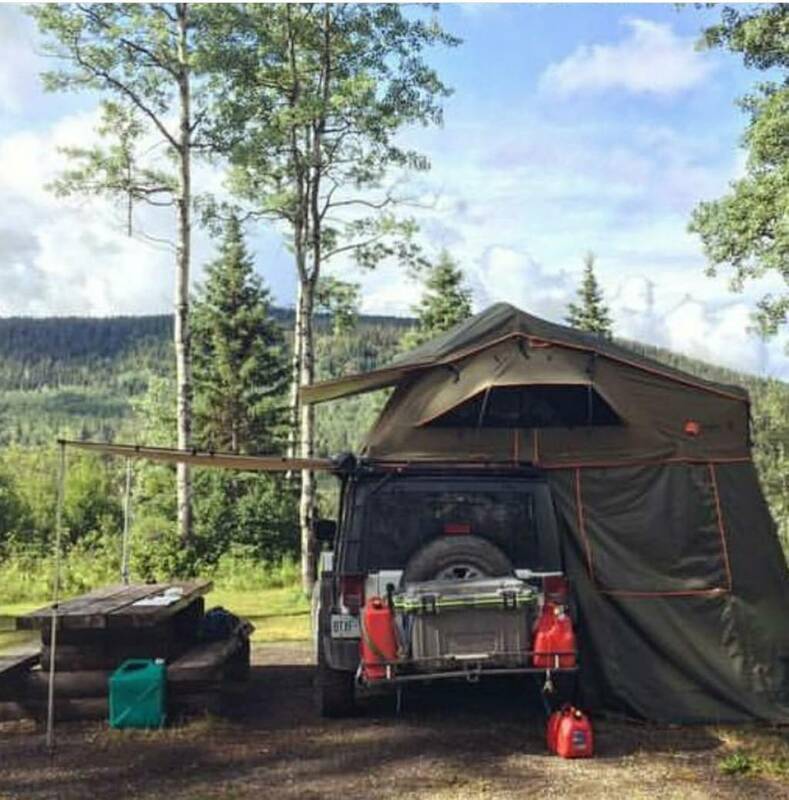 Does anyone have any experience with this tent? Thoughts? Thanks. Treeline outdoors makes a GREAT product. I bought their tamarack tent to take on my honeymoon mainly because it was a Canadian company but also because of the materials used, the tent and it's rainfly are thicker and more durable than my brothers tepui. It came with alot of the mods people suggest on here already done to it, the canvas is mega strong and construction was superb. I bought one a couple days ago. I'm already debating selling it. Put the ladder + pillow + blanket in the tent and it wont seal properly. The plastic shell will flex and wont close firmly enough. I have to leave the ladder out and pile my blanket inside just right so the tent closes. This kinda defeats the purpose of a full pop up tent in my mind. Granted my sleeping bag is pretty large by any respect and doesn't compress very well. Regular blankets (queen size) will fit in the tent with the ladder and pillow. It has a LED light, which is nice but no charging cord or hook ups. It's USB powered, so you need to plug in a usb battery charger to turn on the light. I never really looked for it, but as far as I'm aware there is no switch. So to turn the light on, you need to unplug and plug in the charger. Annoying but thats minor. I'm just shy of 6ft (5'11 and then some). My head and feet almost touch front to back. The tent is 88" long but the sleeping area is shorter. The base has holes drilled out for water to drain out. Fine for summer, not great for keeping in heat for winter camping i'm guessing. Plus the holes will allow dust to creep it's way in. Now for the part I freaking hate. Got in the single digits overnight, no biggie. When I went to pack up the tent I noticed the HDPE shell was bent from the temperature change. So I needed to literally sit on the tent corners in order for my friend to get the latches to engage. If I was in a rush to leave and by myself. I'd be screwed and be stuck waiting for the temperature to get warmer. That or mess around with a strap (not fun a dew covered plastic shell). Here is a before and after picture I snapped to show just how much the tent shell warped that night. The other side was just as warped but my friend and I just managed to get that one side latched and I snapped this shot to show how much this HDPE changes in shape. I drove 3 hours home afterwards and the tent stayed closed no problem but to deal with this every odd morning? No thanks. The first night I went out, everything was fine. The tent closed like normal but that was later in the day (around 9am). The second day when this happened I was up earlier around 6 am and the sun wasn't hitting camp yet. Now on the bright side of this tent. The tent fabric attaches via hooks. So it's easy to change out down the road. The latches are nice, and adjustable. So your not completely f'd in that sort of situation posted above. They have a nice roof vent in the fabric and I had no condensation issues overnight. Nice base mounts, and plates to latch onto whatever frame you decide to mount the tent onto. The price on this tent isn't stupid. Anyways I hope this real world info helps. I don't sugarcoat products. Yeah that warping of the top cover is pretty intense. I'm shocked that this isn't something Treeline would have picked up on, because the temperature swing Crazy Schooner experienced really could be worse in Alberta where the manufacturer is located. Here's to hoping that it's a defect part that can be replaced. Has the company had any response or advice about the issue? They have been good to talk too regarding this odd issue. They are offering to replace the tent or exchange for another tent they sell. They never ran into this issue with any of their other Aspen tents. I went back and checked on the temperature that day/night. Went from 27°C (80° f) to 6°C (42° f) overnight. That mixed with the fact I was in a valley and winds would blow hard, then stop and repeat. I'm thinking it was just a fluke but still I'm debating whether it's worth it to keep this tent once it's replaced. Well that's good news that they intend to do right for the customer and swap it out. Hopefully the new one is good to go without the warping issue. Ive read online about similar things happening to roto molded cooler lids actually. I don't know the tent lid construction well enough to make comparisons but those warped coolers were isolated incidents as well. And I do love treeline. So I'm glad they're fixing you up! If you decide to switch to a different model pm me. Their tents are hard to find much online "discussion" or representation on, but have many great features that Imo edge out some of the competitors. I can swap it out for a Panderosa but I really don't want a soft shell tent. I especially don't want a brick ontop my truck, I did that already and saw the mileage drop. Not too mention the local used market is saturated with cheap tents in my area.. I would never get anything close to what that tent is worth on the used market. I might just swap it out and use the new one 'till I manage to sell it. one fix would be to install solar panels on the lid to prevent the black plastic from cooking and protect it from UV. Yeah no doubt the brick effect is real haha what aerodynamics? Thank you everyone for your replies and thank you Crazy Schooner for your honest review. I was hoping this was the one, now I'm not so sure. Please report back if you have any issues with the new one Treeline gives you. I sold the second model locally, as I found the tent kinda short to be honest. Due to it's design with the hinge, the bed is smaller then the shell and works out to just under 80" but I can't remember the number off hand. So if I moved for or aft a little bit I would be touching the canvas or my blanket would bunch up and put pressure on the canvas from the inside which I find annoying. 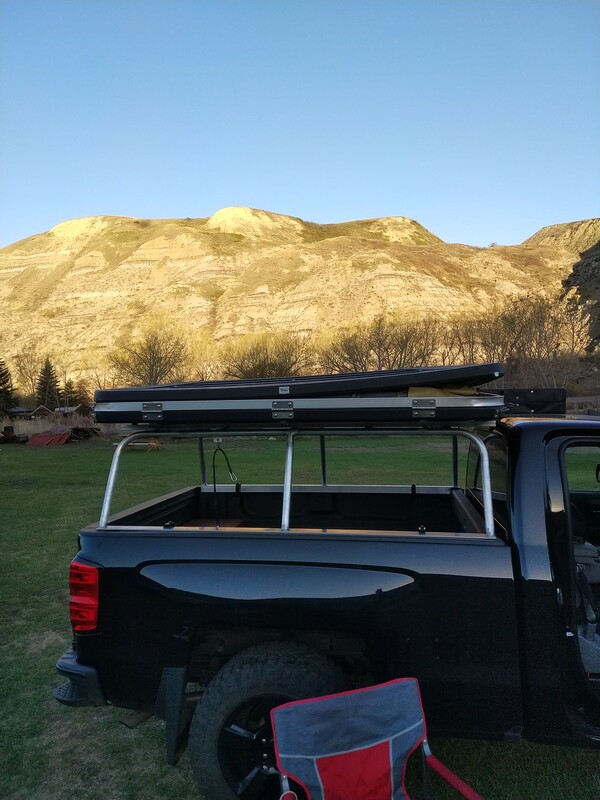 Sounds like Treeline has a top lid fix in the works, which amounts to a roof rail or rack so to speak. 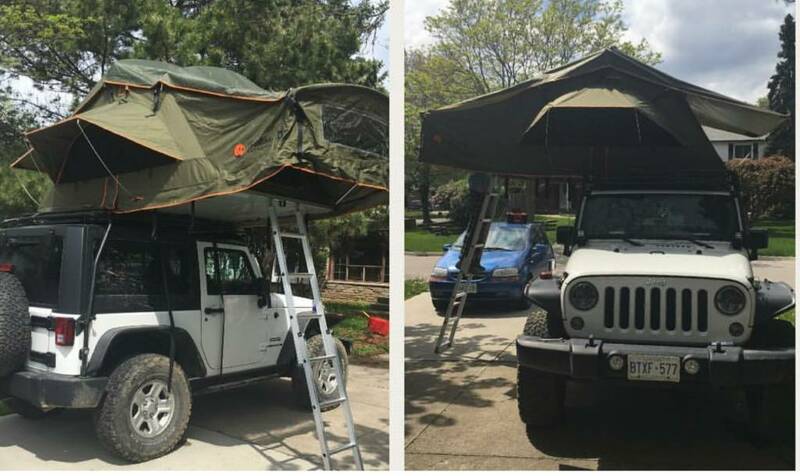 I haven't seen it in person but that should solve the issue with the lid and make the tent a nice option on the market. 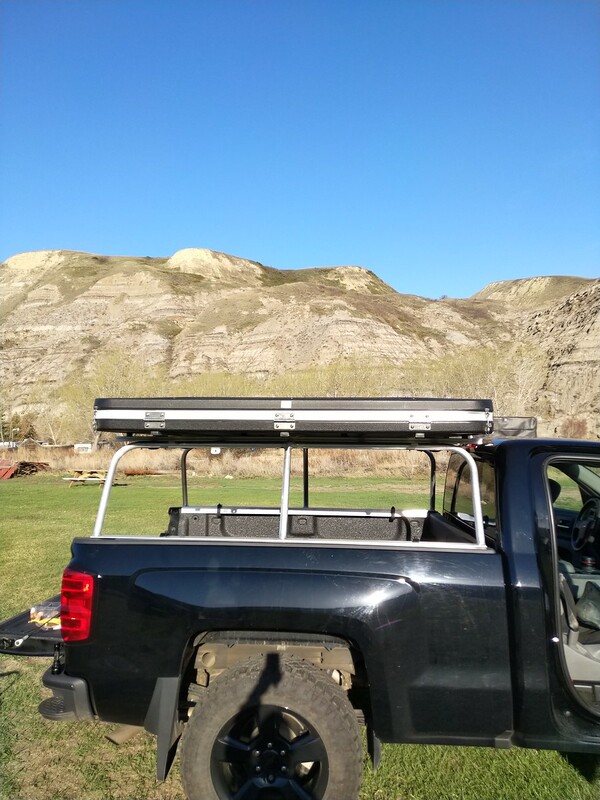 I had no issues with it flapping in the wind which is the biggest reason to buy a hardshell beyond setup/take down. Either way I'm moving onto something else. With that new cargo rail or rack I think the market would really open up to this tent. Curious to hear what you're moving on to. Between here and what I recall you posting on the (now defunct) Overland Canada, you must hold the official record for the number of RTTs owned/tried! I bought an Autohome Airtop last night to try out. This is number #9 I think. Disappointing to hear about the issues you had with the Aspen. I am 6'2" and really want the Aspen to work for me. I am planning to go look at them at Treelines shop in the near future. I am a big fan of the Aspens price, features and material. I am looking into Autohome as well. How would you compare the Air top the the Columbus?